New Flavour! Like drinking a lightly sugared cup of rich morning coffee, this sophisticated flavour is a welcome start to the day. 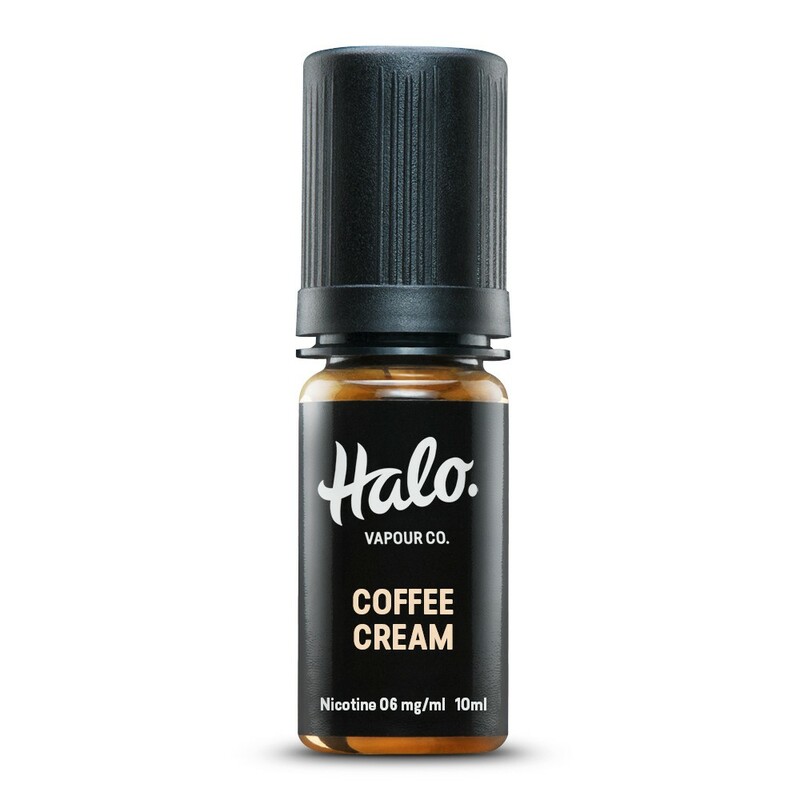 A well-grounded blend of warm, aromatic notes, Coffee Cream delivers a light wafer taste on the inhale, and a touch of Irish cream on the exhale that's sure to perk up your taste buds. Suitable for beginners and experienced vapers alike, we're sure you'll love the rich flavour profile of Halo e-liquid. All ingredients are sourced in the UK from audited suppliers. Only food grade flavours and EU/US pharma grade nicotine are used. Halo e-liquid is manufactured in ISO 7 certified clean rooms to ensure a controlled environment throughout the formulation, blending and bottling process.